A new study from the Mercatus Center at George Mason University found that Bernie Sanders’ single-payer health care plan would cost $32.6 trillion over the course of 10 years. But because Americans are currently projected to spend more than that, Sanders Medicare for All plan could save Americans a bundle. Last year, Americans spent approximately $3.5 trillion on health care, which equates to roughly $35 trillion within a 10-year time period and means the Mercatus study shows Americans could save approximately $2 trillion. But health care analysts say that’s a little misleading. 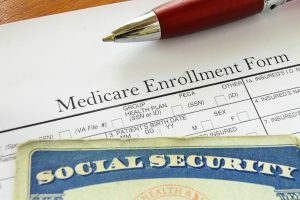 According to the study’s author, Charles Blahous, the plan would offer significant savings on administration and drugs costs in the short-term. However, that perk would soon be offset by an increase in demand that would drive up spending. When the media mentions the Koch brothers, they are referring to Charles G. Koch and David H. Koch. They control the Koch Industries, which is the second-largest privately owned company in the U.S. 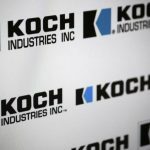 In 2015, the Koch Industries reported revenues of $115 billion. It is for this reason that Kenneth Thorpe, a health policy professor at Emory University, thinks that it’s a bad idea. But Sanders disputes that claim. He says the plan would end up saving money, since it would cut out the middle man (AKA insurance companies), which are responsible for driving up administration costs. According to Sanders, private insurance companies spend between 12 and 18 percent on administration costs, and the U.S. could save approximately $500 billion a year by removing this expenditure entirely. Sanders also pointed out that the Mercatus Center’s study is likely flawed, given the fact that the institution has received millions in donations from the conservative Koch brothers.